By correcting your subluxations, chiropractors can help you adapt better to the stresses in your environment, including those relating to allergies. Your immune system keeps you 100% natural, organic, unadulterated you! It recognizes and gets rid of anything that’s not supposed to be in you: bacteria, viruses, pollutants, dust, pollen, drugs, tumors, and dead pieces of your own cells. A healthy immune system means a higher resistance to disease and infection, better ability to deal with stress, and a greater health and well-being. Many things influence how well your immune system function including your nervous system, hormones, your diet, your genetics and your emotions. An unhealthy immune system may fail to recognize or remove abnormal cells (such as cancers) and may not protect you from infection. Conversely, it may overreact to foreign substances (bee stings, penicillin, foods or drugs) or become depressed (as an AIDS) or even attack you (as happens in auto immune disorders)! The most common immune system disorder is the allergy. Allergies occur when the immune system overreacts to an allergen (dust, pollen, milk, dog or cat dander, strawberries, etc.) and produces too many neutralizing chemicals (especially histamines) to counteract it. The incidence of allergies and related disorders (skin conditions and asthma) is rising all over the word, yet the cause of this increase remains a mystery to most medical researchers. There is mounting evidence that the cause of this rise is due in part to the massive rise in environmental toxins we are exposed to on a daily basis. Also, there is evidence that the increasing number of childhood vaccinations is a contributor as well. Many individuals experience a wide assortment of allergic symptoms, with triggers ranging from mold, fumes, chemicals, pollen, and pet dander. Symptoms result due to an individual’s immune system overreacting to these triggers and discharges histamines and other chemicals to neutralize the unfavorable reaction. Since runny eyes, irritation, redness, fullness in the sinuses in other allergy symptoms are caused by histamines, anti-histamines are often prescribed to dry mucous membranes. However, histamines can cause serious heart problems and should not be used with alcohol, sedatives or tranquilizers. Also, steroid nasal sprays can damage the cilia in the nose and upper respiratory track and affect the adrenal gland. 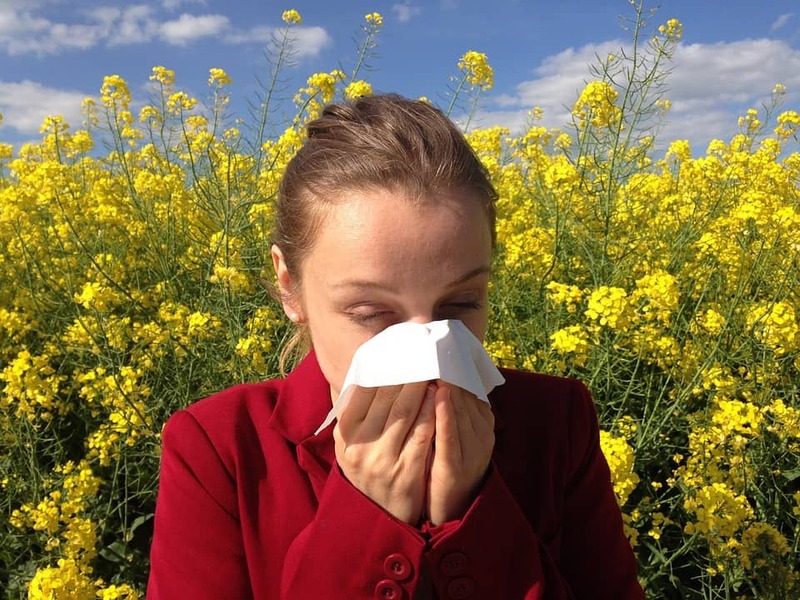 How to get rid of Allergies? In a recent study 360 patients with allergies, skin conditions and asthma were divided into six groups. In the group receiving spinal care, 80% showed improvement in skin itching and 70% showed improvement in skin condition. In addition, allergies improved in 70% overall in the spinal care group. 13 year old suffering with chronic allergies and exercise induced asthma for over 3 years was brought to the office for a chiropractic evaluation by his parents. It was determined that he had subluxations in his neck and upper back as well as a loss of the normal cervical curve in the neck. Over a period of 3 months Corrective Chiropractic adjustments and specific cervical traction and exercises (24) were performed . The patient’s allergy symptoms were reduced "80 percent" according to patient with no asthma symptoms reported while playing soccer. The patient also reported not needing his inhaler for the first time in 3 years! Thank you for contacting the Chiropractic Center at Styertowne! We will be reaching out shortly.